Pests can find their way into your home, making your living space feel unsafe! For curative and preventative pest control in Grayslake, call our experts here at A-Action! Wonderful service rep. He did a VERY thorough job and was friendly. They were more than willing to come back out three times to take care of my ant problem. When you’ve spent time, effort, and money making your home into a comfortable, relaxing space for you and your family, it can feel like an invasion of space to find pests sharing it with you. Your first instinct may be to try to solve the problem yourself, but if you want an effective, long-term solution, you’ll likely need the help of a professional. 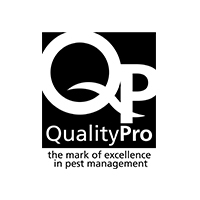 If you've been searching for pest control near you, you're in luck! Here at A-Action Pest Control, our services are guaranteed effective. Our team of friendly, knowledgeable exterminators in Grayslake have what it takes to eliminate your pest problems and help you keep your home bug-free in the future! 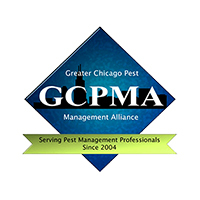 Your friendly exterminator in Grayslake will perform a thorough inspection of your home to identify problem areas and the best course of action. You’ll get a customized treatment plan that solves your home’s specific problems. 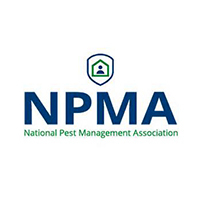 We’ll keep you in the loop the entire time, offering our best advice for pest prevention. We’ll return once every quarter to treat your home and ensure pests stay out for the long-term! When you need pest control in Grayslake, who better to trust than a locally-owned company that’s won the Angie’s List Super Service award for 6 consecutive years? At A-Action, we take pride in providing our customers with the high-quality service they deserve. Want to know why our current customers keep coming back to us for all of their pest control needs? Find out for yourself! New customers can save $25 when they sign up today! Discovering a rodent infestation in your home can make everyday living feel suddenly uncomfortable. Mice and rats can cause damage in a variety of ways, from eating away at the structure of your home and chewing through electrical wires to ruining your belongings with droppings and bite marks. As if that’s not enough to want them out of your home, they are also known to spread disease, and with access to the food you eat, they can pose even more of a risk. From start to finish, you’ll receive the high-quality care that’s won us the Angie’s List Super Service Award for 6 years in a row. 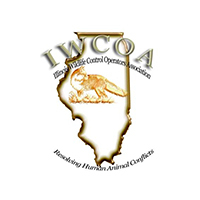 With our rodent control in Grayslake, we’ll restore your peace of mind and rid your home of rodents—guaranteed! Yellow jackets, bees, hornets, and wasps are all names we don’t like to hear. These stinging insects bring the threat of harm to our family and pets. Instead of hiding inside, team up with our knowledgeable exterminators in Grayslake. At A-Action Pest Control, we offer stinging insect control in Grayslake that gets rid of these pests on the first try! With experienced exterminators and top of the line products on your side, you’re guaranteed effective extermination. Sign up for our stinging insect control today and save $25 on the initial service! A detailed inspection of your property to discover affected areas. Eradication of stinging insects and their nests. Preventative techniques implemented by our technicians to stop future nesting. When it comes to stinging insects, professional elimination techniques are needed. Guarantee the safety of your home and family by entrusting our Grayslake stinging insect control. 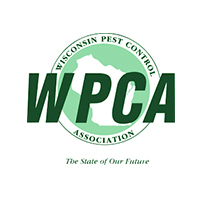 Our state-certified exterminators in Grayslake will go above and beyond to provide protection. If you are ever unsatisfied with our services, contact us and our technicians will return to your home and retreat at no extra cost! It's time to get the service you deserve!